Good afternoon all! In previous questions, I've mentioned that I intend to rebuild my 2000 Trek 7700 Multitrack. Well, I'm beginning by replacing the bottom bracket. According to the spec sheet I got from Vintage-Trek.com, the BB is Shimano BB-LP27 73x113. I've searched for BB-LP27 73x113 and come up empty. I assumed this is an obsolete part, but there must be a current part which will serve the same purpose. How do I decipher what current part would work in this application? I'm adding the technical sheet I found on vintage-trek.com. 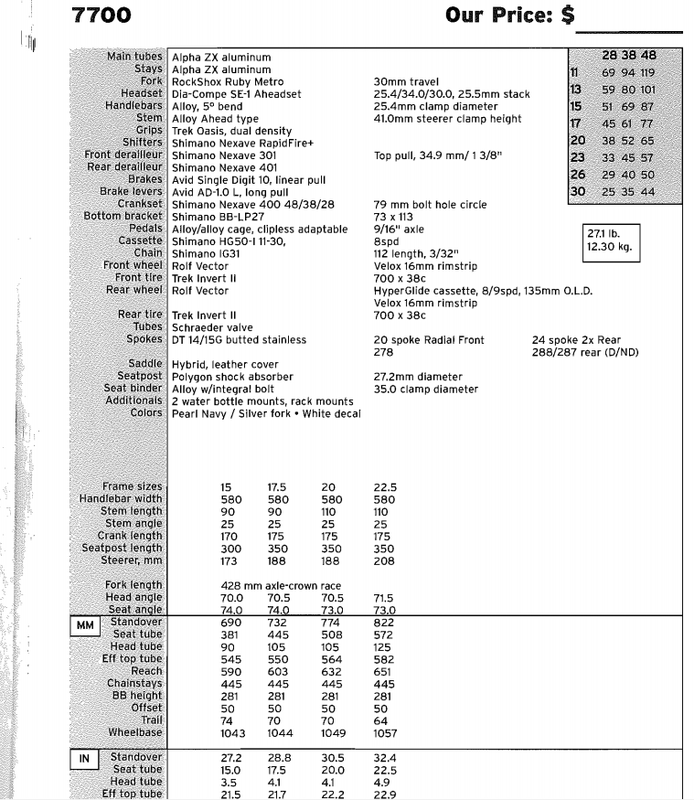 Here's the Shimano datasheet. So we know it's a square taper, ISO-threaded BB. So a UN54/UN55 is the replacement part (take the UN55). 73 is the shell size: 73mm. 113 is the spindle length: 113mm. Not the answer you're looking for? Browse other questions tagged maintenance bottom-bracket restoration beginner trek or ask your own question. Swap Bottom Bracket bearings or replace entire bottom bracket? Bottom Bracket on a Trek CrossRip Comp 2016?